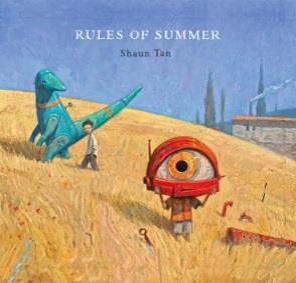 RULES OF SUMMER – coming soon! Mega-talented, Astrid Lindgren Prize- and Oscar-winner, Shaun Tan (THE ARRIVAL, THE LOST THING, THE RED TREE, etc.) has a new book coming out next month from Hachette Australia! Previous Post Chris Knopf’s DEAD ANYWAY wins the 2013 Nero Award!